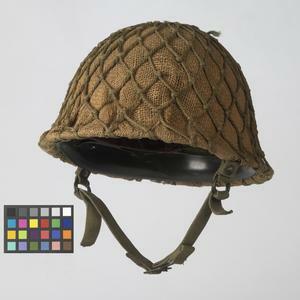 helmet and liner and cover Steel helmet with plastic liner shell, with a hessian cover and camouflage net. 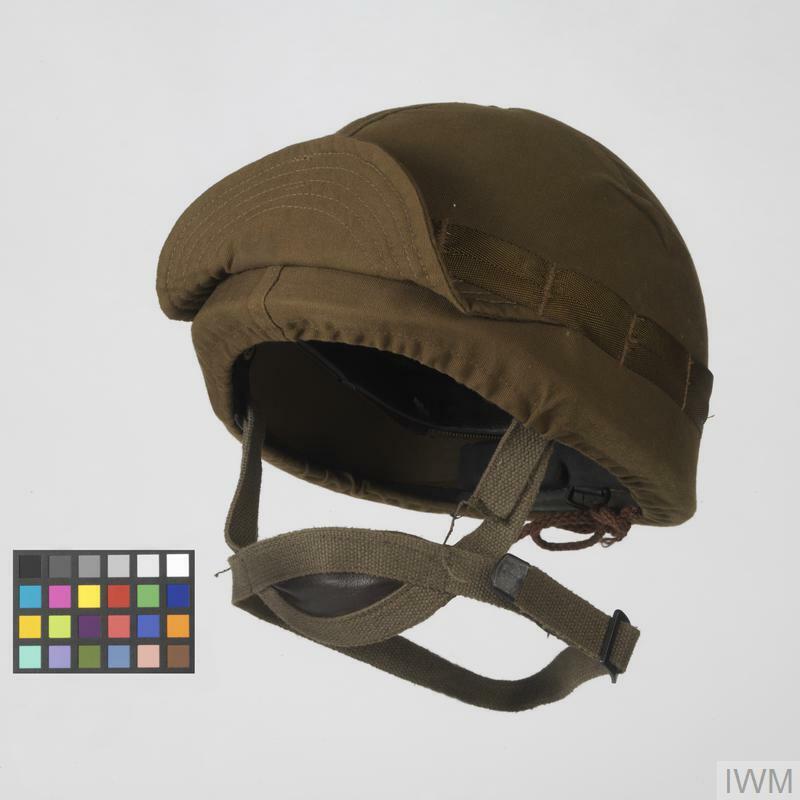 Inside, the helmet features a canvas cradle liner system, fitted with a detachable leather band. The chinstrap is of canvas and features a double 'D' ring adjustment system each side. 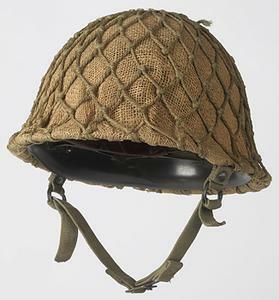 This was the first home produced helmet used by the South African Defence Forces (SADF). On first glance it would seem the helmet resembles that used by Japanese forces during the Second World War, but it was in fact modelled on and closely derived from the French M51 OTAN, although the chinstrap system was unique to the SADF. Issued from 1963, it was replaced when the SADF began to adopt composition fibre helmets from 1983. A parachutist's version was also made, being distinguished by its three point chinstrap.